Significant modification of traditional rapid sequence induction improves safety and effectiveness of pre-hospital trauma anaesthesia. Faut-il utiliser la kétamine ou l'étomidate ? Le travail présenté milite pour l'emploi de la kétamine, mais ceci reste controversé (voir également ici)). C'est aussi le choix présenté dans la procédure du sauvetage au combat, du fait de la polyvalence d'emploi de la kétamine tant dans ses indications que de ses voies d'administration. On rappelle quand même que si l'ISR facilite grandement les conditions de l'intubation oro-trachéale en médecine préhospitalière métropolitaine, nos conditions spécifiques d'exercice ne correspondent pas à cette dernière. Avant de réaliser une telle induction, encore faut-il être valider l'indication de l'intubation au milieu de nulle part. Par ailleurs la réalisation de ce geste sous anesthésie locale doit également être envisagée. Ceci est conforme aux recommandations sur le sujet. Rapid Sequence Induction of anaesthesia (RSI) is the recommended method to facilitate emergency tracheal intubation in trauma patients. In emergency situations, a simple and standardised RSI protocol may improve the safety and effectiveness of the procedure. A crucial component of developing a standardised protocol is the selection of induction agents. 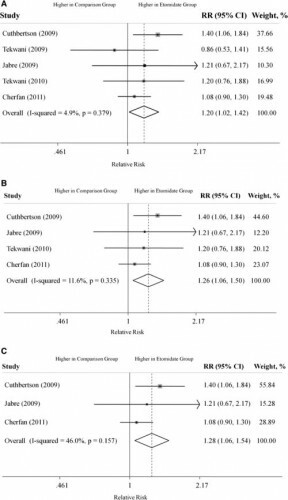 The aim of this study is to compare the safety and effectiveness of a traditional RSI protocol using etomidate and suxamethonium with a modified RSI protocol using fentanyl, ketamine and rocuronium. We performed a comparative cohort study of major trauma patients undergoing pre-hospital RSI by a physician-led Helicopter Emergency Medical Service. Group 1 underwent RSI using etomidate and suxamethonium and Group 2 underwent RSI using fentanyl, ketamine and rocuronium. Apart from the induction agents, the RSI protocol was identical in both groups. Outcomes measured included laryngoscopy view, intubation success, haemodynamic response to laryngoscopy and tracheal intubation, and mortality. Compared to Group 1 (n = 116), Group 2 RSI (n = 145) produced significantly better laryngoscopy views (p = 0.013) and resulted in significantly higher first-pass intubation success (95% versus 100%; p = 0.007). A hypertensive response to laryngoscopy and tracheal intubation was less frequent following Group 2 RSI (79% versus 37%; p < 0.0001). A hypotensive response was uncommon in both groups (1% versus 6%; p = 0.05). Only one patient in each group developed true hypotension (SBP < 90 mmHg) on induction. In a comparative, cohort study, pre-hospital RSI using fentanyl, ketamine and rocuronium produced superior intubating conditions and a more favourable haemodynamic response to laryngoscopy and tracheal intubation. An RSI protocol using fixed ratios of these agents delivers effective pre-hospital trauma anaesthesia. Douleur: Pendant l'évacuation, Kétamine = Morphine ? We report the results of a process improvement initiative to examine the current use and safety of prehospital pain medications by U.S. Forces in Afghanistan. Prehospital pain medication data were prospectively collected on 309 casualties evacuated from point of injury (POI) to surgical hospitals from October 2012 to March 2013. Vital signs obtained from POI and flight medics and on arrival to surgical hospitals were compared using one-way analysis of variance test. 119 casualties (39%) received pain medication during POI care and 283 (92%) received pain medication during tactical evacuation (TACEVAC). Morphine and oral transmucosal fentanyl citrate were the most commonly used pain medications during POI care, whereas ketamine and fentanyl predominated during TACEVAC. Ketamine was associated with increase in systolic blood pressure compared to morphine (+7 ± 17 versus −3 ± 14 mm Hg, p = 0.04). There was no difference in vital signs on arrival to the hospital between casualties who received no pain medication, morphine, fentanyl, or ketamine during TACEVAC. In this convenience sample, fentanyl and ketamine were as safe as morphine for prehospital use within the dose ranges administered. Future efforts to improve battlefield pain control should focus on improved delivery of pain control at POI and the role of combination therapies. Combat injuries result in acute, severe pain. Early use of analgesia after injury is known to be beneficial. Studies on prehospital analgesia in combat are limited and no prospectively designed study has reported the use of analgesics in the prehospital and en route care setting. Our objective was to describe the current use of prehospital analgesia in the combat setting. This prospectively designed, multicenter, observational, prehospital combat study was undertaken at medical treatment facilities (MTF) in Afghanistan between October 2012 and September 2013. It formed part of a larger study aimed at describing the use of lifesaving interventions in combat. On arrival at the MTF, trained on-site investigators enrolled eligible patients and completed standardized data capture forms, which included the name, dose, and route of administration of all prehospital analgesics, and the type of provider who administered the drug. Physiological data were retrospectively ascribed as soon as practicable. The study was prospectively approved by the Brooke Army Medical Center institutional review board. Data were collected on 228 patients, with 305 analgesia administrations recorded. The predominant mechanism of injury was blast (50%), followed by penetrating (41%), and blunt (9%). The most common analgesic used was ketamine, followed by morphine. A combination of analgesics was given to 29% of patients; the most common combination was ketamine and morphine. Intravenous delivery was the most commonly used route (55%). Patients transported by the UK Medical Emergency Response Team (MERT) or U.S. Air Medical Evacuation (Dust-off) team were more likely to receive ketamine than those evacuated by U.S. Pararescue Jumpers (Pedro). Patients transported by Medical Emergency Response Team or Pedro were more likely to receive more than 1 drug. Patients who received only ketamine had a higher pulse rate ( p < 0.005) and lower systolic blood pressure ( p = 0.01) than other groups, and patients that received hydromorphone had a lower respiratory rate ( p = 0.04). Conclusions: In our prospectively designed, multicenter, observational, prehospital combat study, ketamine was the most commonly used analgesic drug. The most frequently observed combination of drugs was ketamine and morphine. The intravenous route was used for 55% of drug administrations. Clic sur le document pour accéder au document. 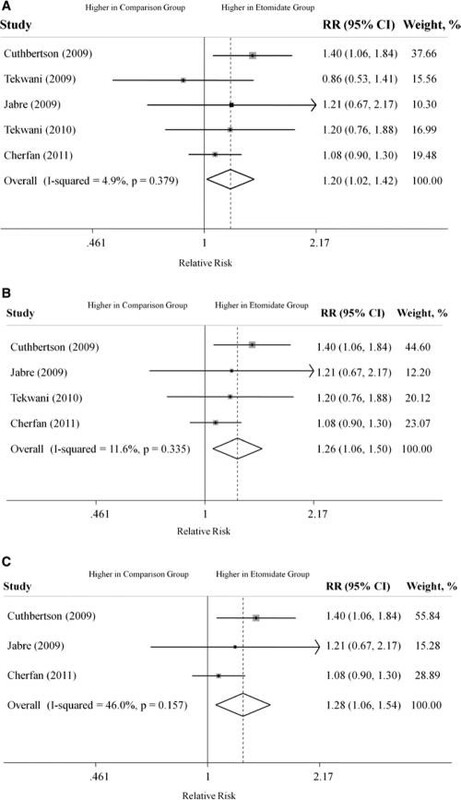 Etomidate is associated with mortality and adrenal insufficiency in sepsis: A meta-analysis. L'étude kETASED a confirmé l'intérêt du recours à la Kétamine chez le patient en défaillance vitale. Il existe une polémique concernant les effets délétères de l'étomidate sur la fonction corticosurrénalienne. Bien qu'une analyse récente n'ait pu l'objectiver après administration unique, la controverse continue. Une méta-analyse incluant chez 865 patients porteur de sepsis plaide pour l'existence d'une telle surmortalité. On rappelle qu'en condition de combat, au delà de ce débat, l'agent d'induction de choix est la kétamine car son intérêt ne se limite pas à la simple induction. C'est aussi un agent de sédation et un antalgique. La kétamine: Que du bon. Un seul narcotique dans votre trousse, c'est celui là car c'est le plus sûr.